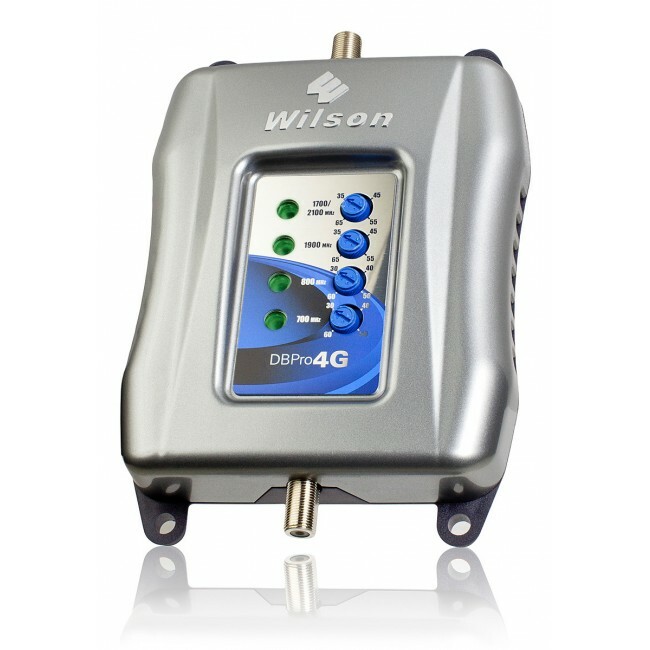 The Wilson DB Pro 4G has been discontinued and replaced by the new and improved weBoost 470103 Connect 4G Signal Booster Kit. 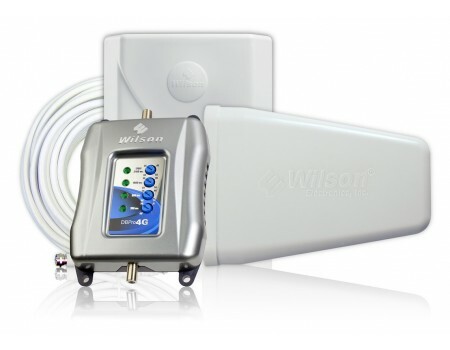 The Wilson 460103 DB Pro 4G has been discontinued and is being replaced by the new weBoost 470103 Connect 4G Signal Booster Kit. You need an all in one solution to provide boosted voice calls plus 3G and 4G LTE data for one carrier (or multiple carriers with towers in the same general direction) and require coverage for an area up to 5,000 sq ft.* over one or multiple floors. 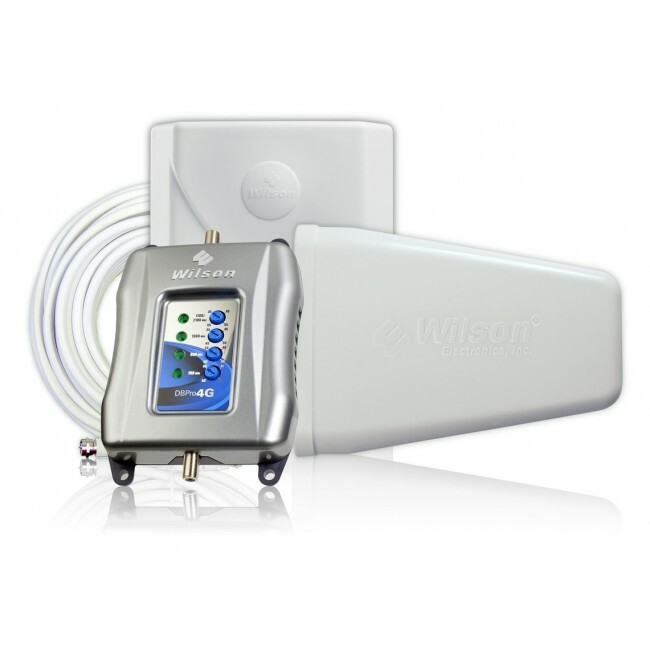 To cover a larger area inside, check out our Wilson 461104 AG Pro Quint 70dB Signal Booster Kit. The DB Pro 4G comes with a directional outside antenna. Directional antennas must be aimed, which is easy to do through trial and error, but are limited to covering carriers with towers in one general direction. To boost the signal from multiple carriers with towers in different directions, you will need to add additional directional outside antennas or switch to an omnidirectional outside antenna. Contact us to hear about both options. The DB Pro 4G supports the Voice, 3G, and 4G LTE networks from all major carriers in North America. It does not support any WiMAX or iDEN networks. The DB Pro 4G amplifier is currently only available for shipment within the Untied States. 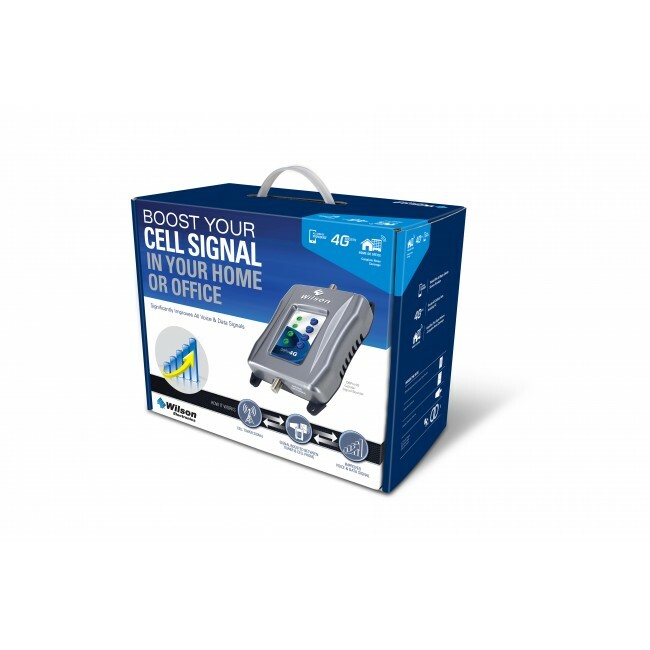 For Canadian and Mexican carriers, try the Wilson 842772 Tri-Band 4G-C. The Wilson 460103 DB PRO 4G Yagi Kit comes with everything necessary for installation. Some installations may require additional parts so see the Accessories section below for more details. We recommend a lightning protector kit for all installations in areas that have lightning or thunderstorms. The lightning protector has a gas discharge element that severs the connection to the amplifier if a power surge comes from the outside antenna. The included Directional Outside antenna requires pole to mount the antenna. If you do not have an existing pole, consider including the 901117 Pole Mounting Assembly. To start, you'll need to find a place on the roof of your home or office to mount the outside yagi antenna. It's best to figure out which direction it will need to be pointed before permanently mounting the antenna which we'll cover at the end. Connect the 30 ft. RG-6 coax cables to the antenna and run it into the house. You may be able to enter through a vent or a soffit; otherwise, you may have to drill a hole. With the cable inside, connect it to an in-line lighting protector if you purchased one, and then to the amplifier. To the inside antenna port on amplifier, connect the 30 ft. RG-6 cable and then connect the inside antenna. If you have an attic, the easiest installation method is typically to have the amplifier and inside antenna in the attic with the panel antenna face down on the floor in the middle of the house. If you don't have an attic, you can mount the panel antenna on the ceiling in the middle of the house, or on a wall. Once all of the components are connected, plug in the amplifier and see if you get any error lights. A red light indicates that the inside and outside antennas are too close together. Unplug the amplifier and then increase the separation between the antennas and try again. If you can't increase the separation, you can turn down the gain on the amplifier which will also decrease the total coverage area. For any other errors, consult the manual or contact us for help. To aim the yagi antenna, start with the antenna high on the roof pointed in one direction. Turn on the system and have an inside helper inside stand near the inside antenna and take a signal reading with their phone in field test mode. Rotate the yagi antenna 45 degrees and then pause for 30 to 60 seconds. After the pause, the person inside should take another signal reading, and then you can repeat the process. Each time your partner checks the signal strength, also check to make sure there aren't any warning lights on the amplifier. After you've gone all the way around, mount the antenna facing in the direction with the strongest signal. If possible, also mount the antenna on that side of the home or office so that it's pointing away from the building and not over the building.